Classified as an angrite, NWA 4590 provides a unique sample from the parent body. 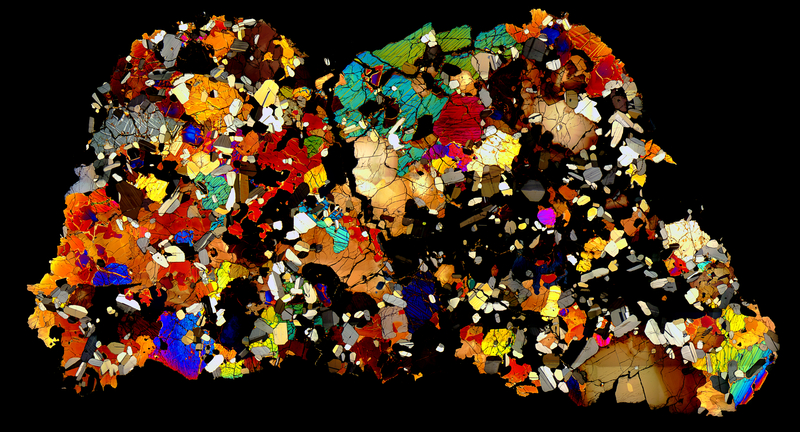 Analysis of its textural and mineralogical features shows it to be “sub-volcanic”; rather than the more common plutonic or basaltic angrite. Detailed information can be found at Meteorite Studies.